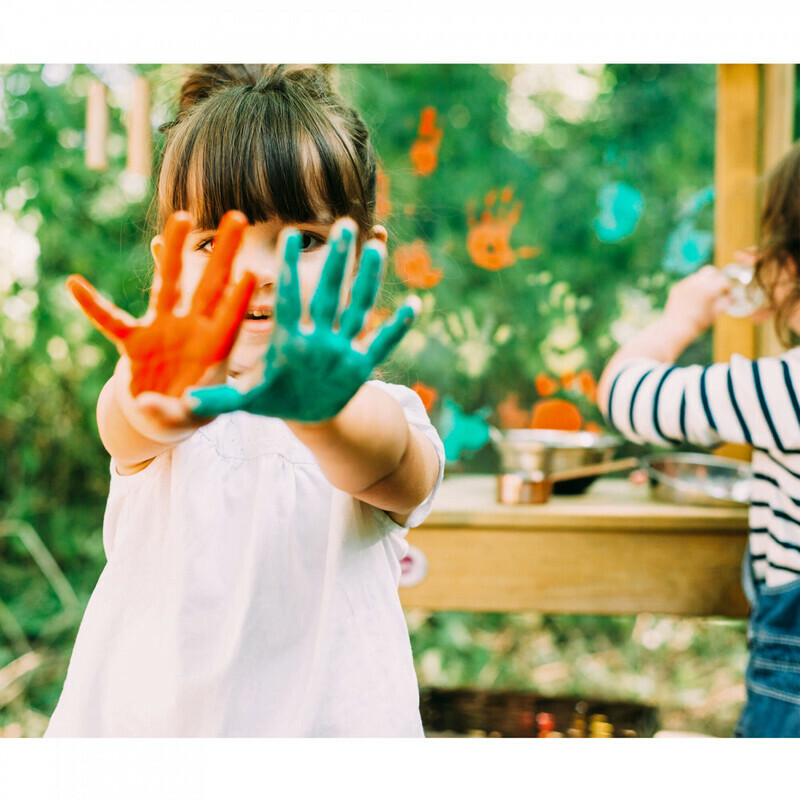 Your kids can make the most of their playtime. 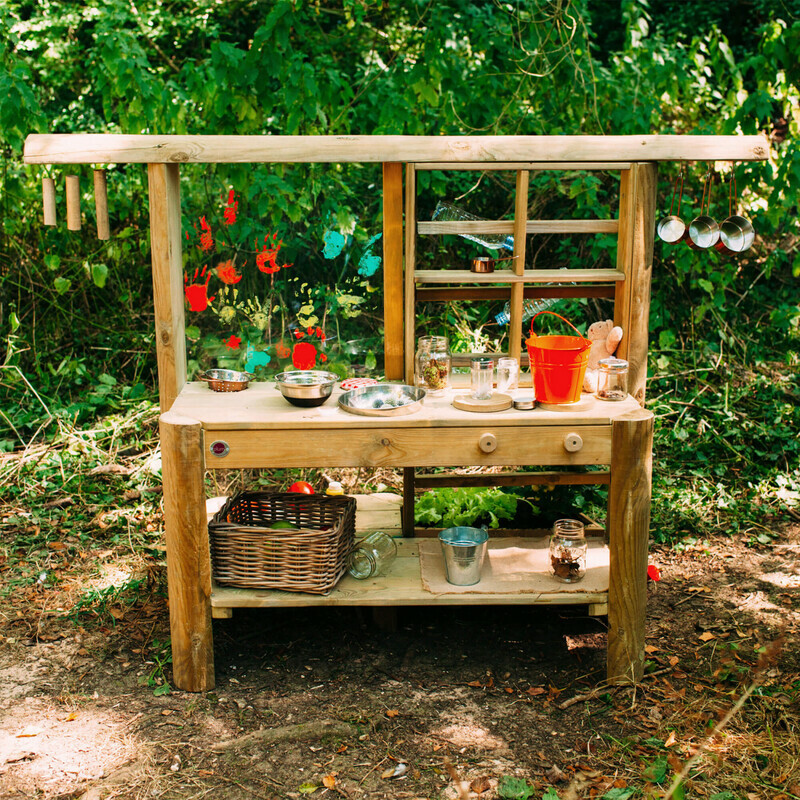 This mud pie kitchen explores hobbies & curiosities, and helps children discover living things, tinker and experiment. 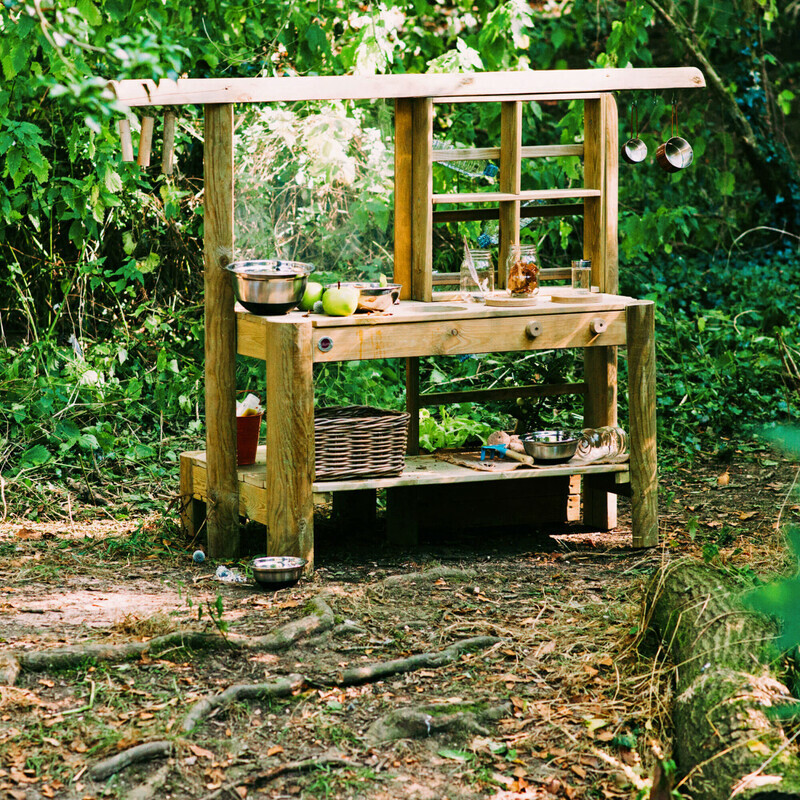 The Discovery range allows the whole family to explore the garden spot the wildlife and get in touch with nature. 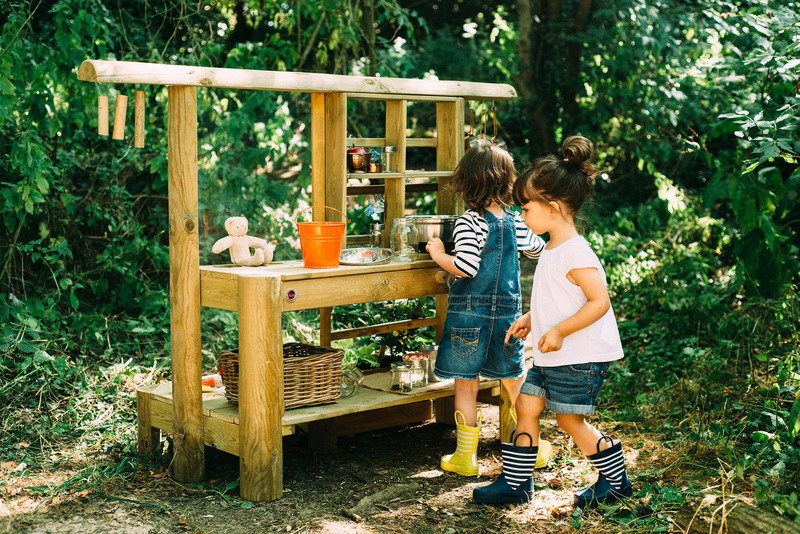 The Discovery Plum® Mud Pie Kitchen is a great way for your child to get stuck in at playtime as they bake and shape a messy mud pie outside! 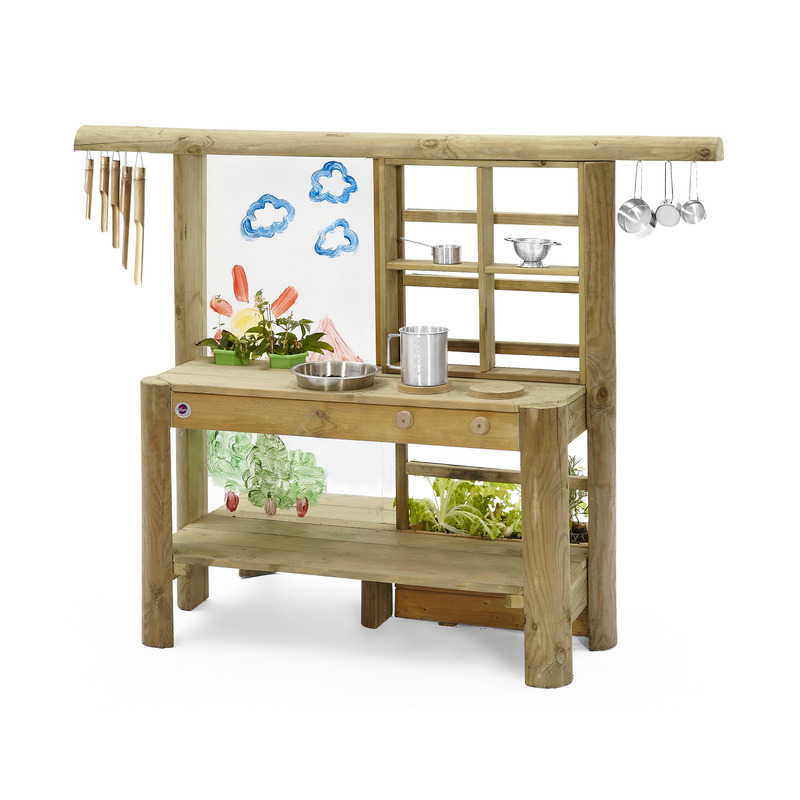 Made from FSC® sustainably sourced wood the outdoor kitchen features includes storage shelves pot holders and a built in planter for little gardeners. 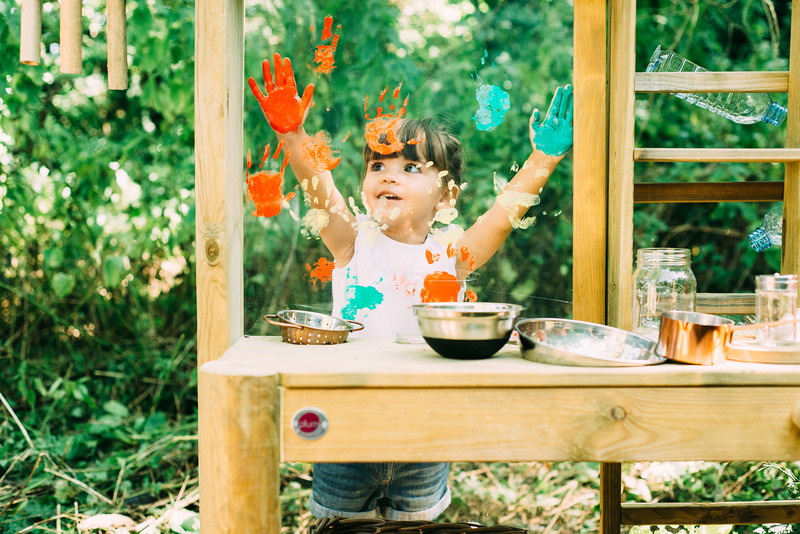 Keep the mess outside on the paint and create easy clean painting screen. 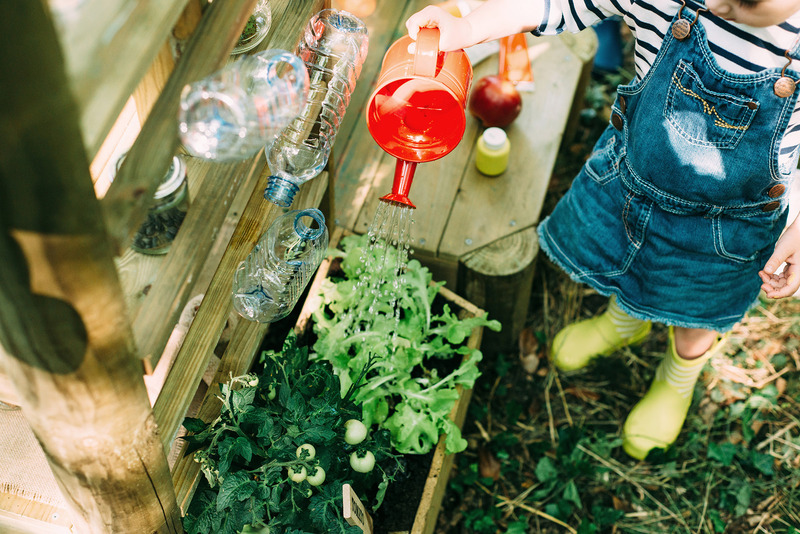 Your child will love the environment they live in! 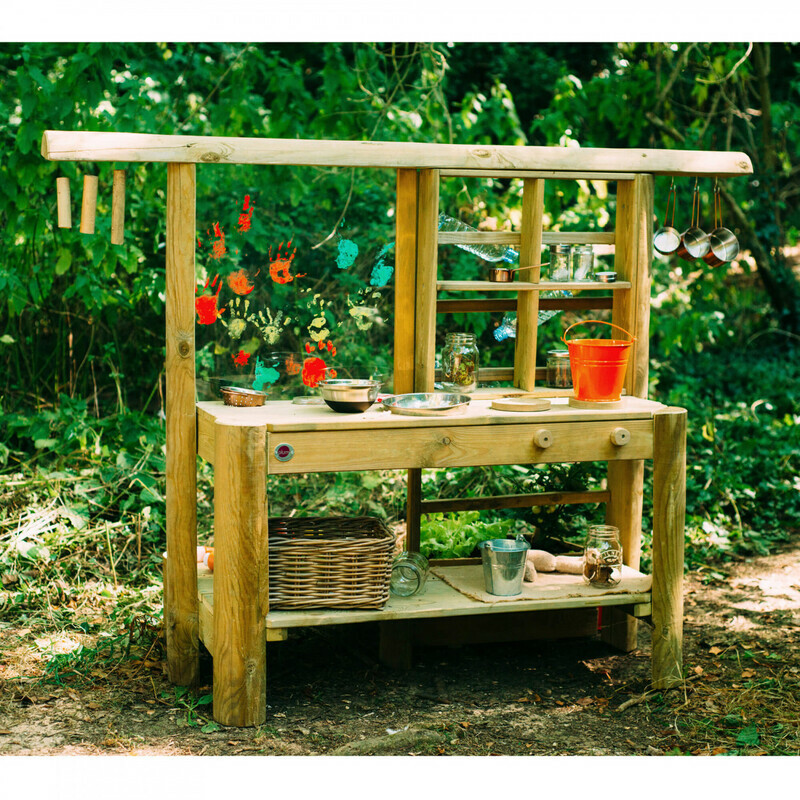 This Mud Pie Kitchen is a great way for your child to get stuck in at playtime and explore existing hobbies and curiosities. 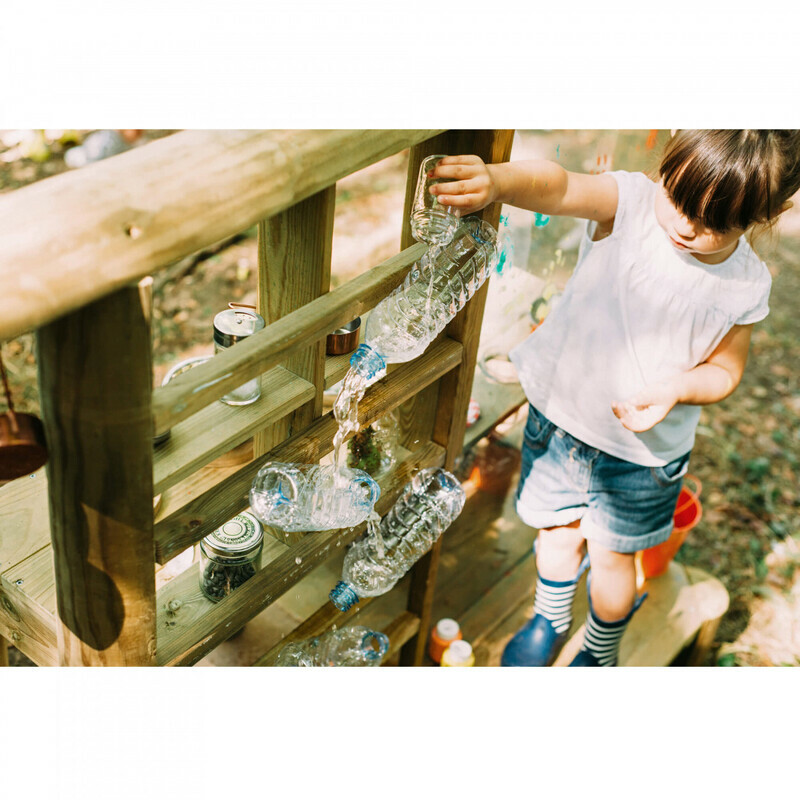 Perfect for children 3 years+ allow them to discover living things tinker and experiment as they mush mix and even mould a mud pie. 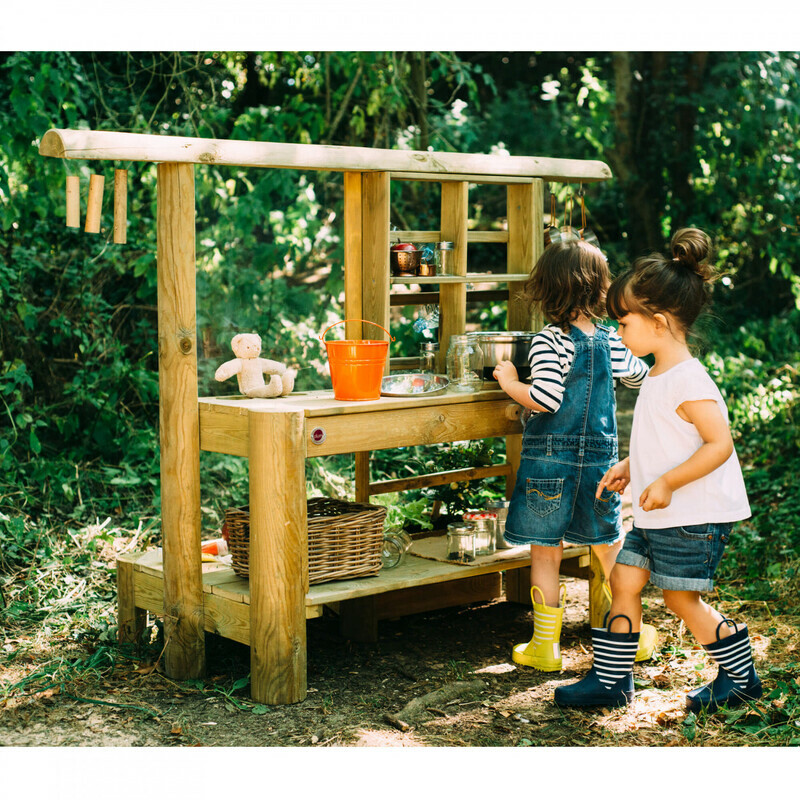 It comes made from sustainably sourced wood and includes handy selves to store all woodland finds. 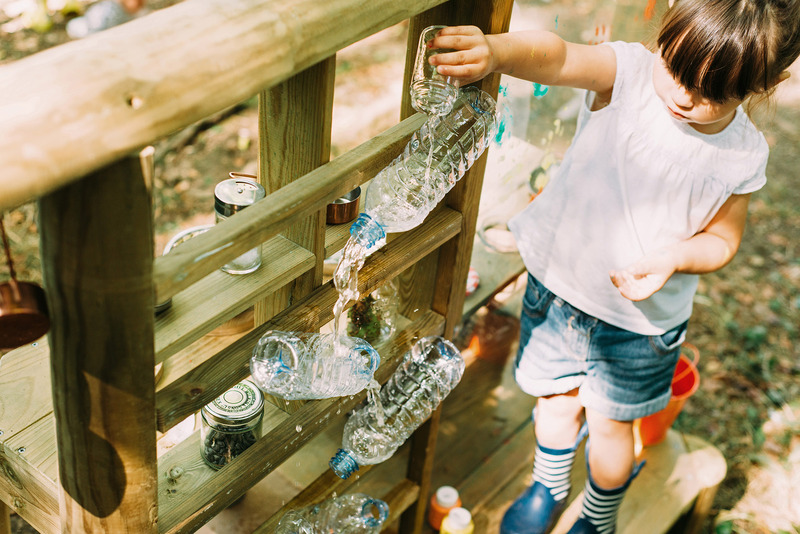 Keep the mess from coming inside with this outdoor play wonder! Awesome my daughter loves this!